Spirit: Teaching, Travel, Width, Distances. Places to visit: Florida, Spain, Indonesia. Things to learn: Archery, Philosophy, Methods of Visualization. With Jupiter traveling far and wide through your sign, this is the year when your perspectives will shift, your optimism and faith be regained, and teach you of relativity of life. Retrograde movement of Venus will coincide with retrograde movement of Jupiter, and this will turn many of Libra representatives to shady characters, immoral activities and secret relationships that might lack purpose other than to inspire and fill your heart with joy. Don’t be too strict with yourself for this might be a good time to widen your beliefs and realize that true love is there for the taking. Just be sure to resolve all shady problems and activities before October, for this is when payback is due. Your energy can become scattered but you will feel optimistic about your options. Be careful when autumn sneaks up on your, especially after your birthday, for this is the time when your circumstances could change, luck could leave you and you’ll need a strong foundation made in order to truly succeed. While retrograde movements of Venus are always a challenge for you, this is the spring when many romantic situations are to be expected and you won’t handle it as bad as someone else might. However, October serves as a test to energy and initiative, and your unresolved anger issues could bring many problems with close people, family or your spouse. This can get easier to overcome with proper exercise and contact with nature. Being in love is a reward in itself and even though circumstances might be a bit shady, you will have the opportunity to feel and be treasured and loved. Don’t throw away the opportunity to open your heart for any reason, and allow yourself to fly if only for a short while. Many Libras will gain a few pounds with Jupiter in their first house, but this won’t make you feel as bad as you’d think it would. The beginning of this year is a good time to check your hormonal status and pay attention to toxic substances that could present a threat to your system. You will have a hard time metabolizing experiences and this might create a physical problem with your stomach and liver, so be practical in your approach and avoid toxic substances that could harm your state of body and mind. Problems with thyroid function could surface because of too many spoken words as soon as this year begins. Try to keep your tongue and your mind in check, setting free from hurtful phrases and keeping your emotions bottled up. Forgetfulness and loss of memories tend to become a usual state for some of you, but this shouldn’t concern you if it doesn’t prolong until the year’s end. When it comes to matters of romance and love, this is a year that begins with a push backwards. Not only does this mean you will act as if you never learned anything from your past mistakes, but you are also likely to end up in similar activities and with partners you thought you ended things with a long time ago. 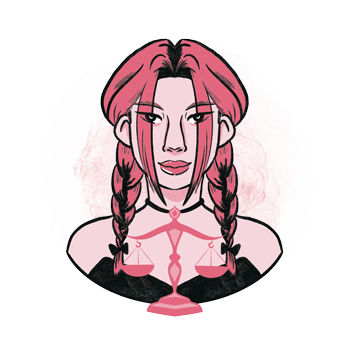 While Venus and Jupiter are in retrograde motion together, in March and the first several days of April, secretive behavior is almost inevitable as well as idealization and the chase for impossible emotional goals. Stay aware that love and beauty are always hidden in the truth, and the truth is always beautiful. The more you struggle with it, the further you’ll drift away from true satisfaction and pleasure. Family will mostly support you on your way and you’ll feel as if a strong wind is blowing in your sails long enough to get some important things done and get your heart’s matters in order. Progress will come as a given throughout this year, for as long as you are on the path of personal expansion. Standing in one place won’t be tolerated for long and the Universe will do everything in its power to remind you of the next move you are supposed to take. The opportunity Saturn in Sagittarius gives for long-term commitments and plans should be used in the best possible way. Respect your limitations and slowly build a strong foundation for your future in order to reach your desired goals. Financial situation will be satisfying if you don’t overspend and get indebted simply because you are unrealistic about your possessions. Keep at least one foot on the ground and there will be just enough money to fulfill your basic needs. 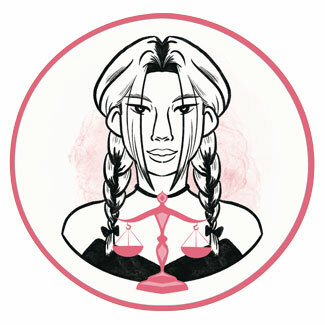 Libra Horoscopes - daily, weekly and monthly Libra horoscopes..